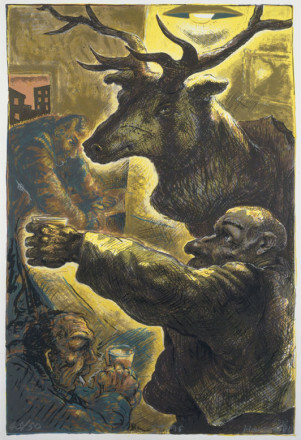 STAG 1986 Peter Howson (1958 – )	P5480 © (c) Peter Howson. All rights reserved, DACS 2015. JOHNIE 1987 Peter Howson (1958 – )	P5629 © (c) Peter Howson. All rights reserved, DACS 2015. 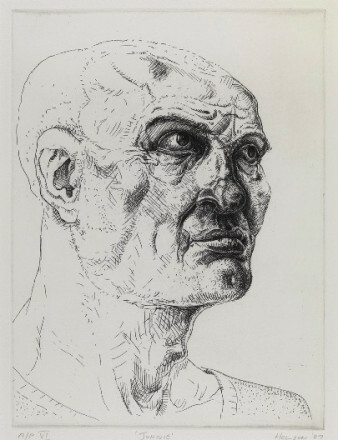 PETER 1987 Peter Howson (1958 – )	P5632 © (c) Peter Howson. All rights reserved, DACS 2015. THE NOBLE DOSSER 1988 Peter Howson (1958 – )	P5617 © (c) Peter Howson. All rights reserved, DACS 2015. 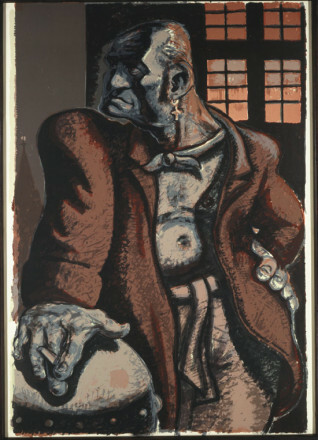 Peter Howson was born in London and moved with his family to Glasgow when he was four years old. He studied at Glasgow School of Art: a training interrupted by two years spent travelling and working at various jobs, including a time in the army. 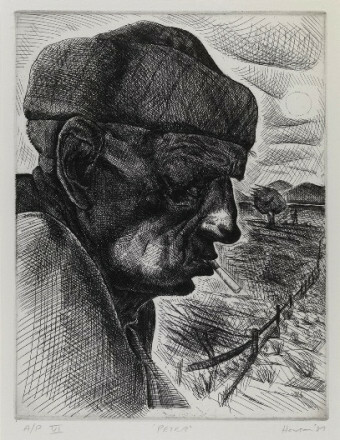 His works in the Collection are primarily of a working class masculine world: boxers, bodybuilders, and many from the sad world of 'dossers' who lived in the area of his studio in Glasgow.